The accused had denied the allegations levelled against them, saying that they were falsely implicated in the case. 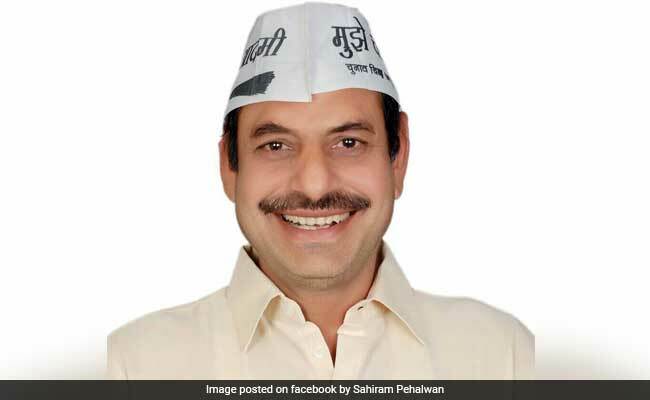 A Delhi court on Thursday imposed a fine of Rs 2 lakh on AAP legislator from Tughlakabad, Sahi Ram Pahalwan, for assaulting a man in September 2016. Additional Chief Metropolitan Magistrate Samar Vishal did not award any jail term to the AAP politician as "an opportunity to reform" himself. Besides Pahalwan, co-convicts Subhash and Lalit were also directed to pay a fine of Rs 2 lakh each. "...considering primarily that the injured Yogender Bidhuri had suffered simple injuries in this case and in order to give an opportunity to the convicts to reform themselves, I do not deem it fit to award a sentence of imprisonment. "Therefore, in the facts and circumstances of the case, all the three convicts are punished with a fine of Rs two lakh each under section 324 (voluntarily causing hurt by dangerous weapons or means) IPC," the Judge said. He also awarded a compensation of Rs 1.50 lakh to the victim. The court had on August 1 held Pahalwan guilty while relying upon the testimony of Mr Bidhuri. The court convicted all the three accused for the offence punishable under sections 324 (voluntarily causing hurt by sharp object), 341 (wrongfully restrain) and 34 (common intention) of Indian Penal Code. The offence carried a maximum of three years jail term. They had claimed that they had not beaten the complainant Yogender Bidhuri and that they were not even present at the spot at the time of the alleged incident. The complainant had earlier told the Delhi Police that a cemented road was being constructed in a lane outside his house in Tekhand. He had alleged that the MLA had "threatened" the supervisor who was observing the construction to stop work on the intervening night of September 18 and 19, 2016. Mr Bidhuri had claimed that he called the MLA and tried to know why he was opposing the construction of the road after which the legislator "threatened" him with "dire consequences". He had alleged that he had gone to get medicines with a relative when the MLA along with his accomplices allegedly beat him up.